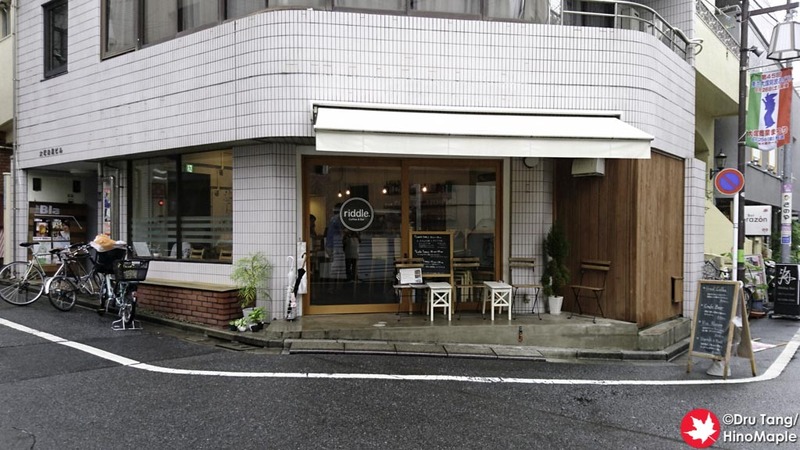 I visited Otsuka to do a little work and decided to stop by “riddle.”, a craft beer bar and cafe. Otsuka really is a place that I have rarely visited in my 12 years in Tokyo. It is an area that I have passed through from time to time but I never really spent much time in the area. I had a little work related to Taiheiyogan and lunch was on the schedule. Riddle is a quaint little cafe located on the south side of the station. It is a really nice place but not in the best area. It is at the edge of the commercial area but the front entrance has beautiful big windows that let a lot of light in making it very inviting. When you enter, you just order at the counter and sit down wherever you like. The setup is pretty simple. Everything was beautiful with a nice counter at the bar as well as another one at the window. I ordered the lunch set which was a “fajita” wrap with a drink. The wrap was more alike a burrito and it was far from Mexican. It was good and felt healthy and the coffee was really good too. It tasted as they used fresh roasted coffee, especially compared to the cheap stuff Starbucks uses. 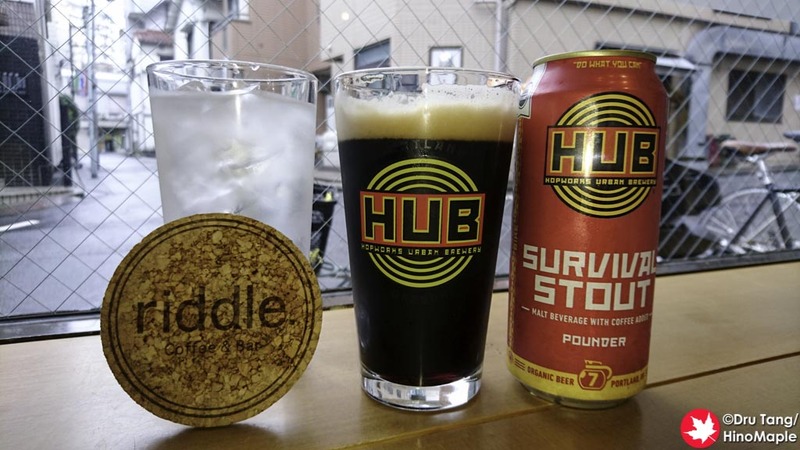 They also have a nice fridge full of beers and I was happy to get the Survival Stout from HUB. 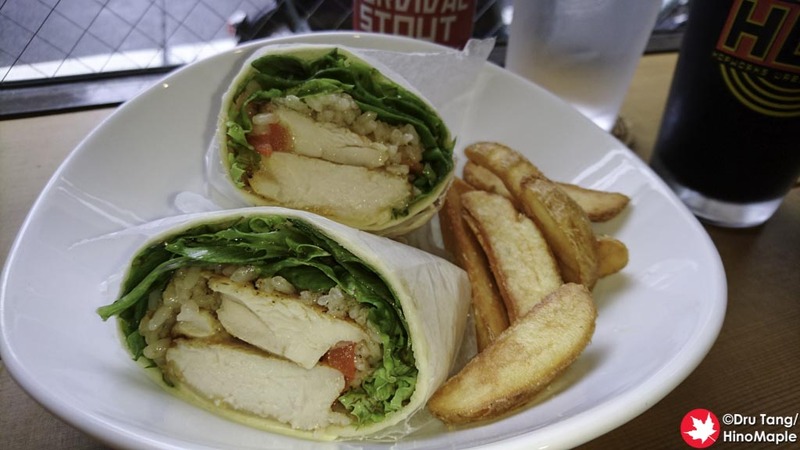 Riddle is a great place if you are looking for lunch in Otsuka. I’m sure dinner is really good too. It is a great quiet place and you can be sure that I will be back again if I am in Otsuka as I just love these types of chill places. This entry was posted in Tokyo Food and tagged craft beer, Hopworks Union Brewery, HUB, japan, Riddle, Taiheiyogan, tokyo by Dru. Bookmark the permalink.